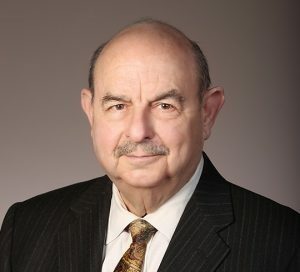 Judge C. Judson Hamlin has joined Hoagland, Longo, Moran, Dunst and Doukas in New Brunswick as counsel to the firm’s alternative dispute resolution practice. He will serve as a mediator and arbitrator in civil matters. Hamlin was appointed to the bench in 1978, going on to serve the criminal, civil, and chancery divisions. He presided over complex mass tort and class action matters as the asbestos judge in Middlesex County. He later chaired the Mass Tort Advisory Committee of the New Jersey Supreme Court. In 1998, he developed his own independent alternative dispute resolution practice. He was appointed representative of future asbestos claimants in New Jersey Bankruptcy Court in 2001, and the matter was concluded in 2009 with the establishment of a $775 million trust for asbestos claimants. Hamlin continues to participate in trust administration today.